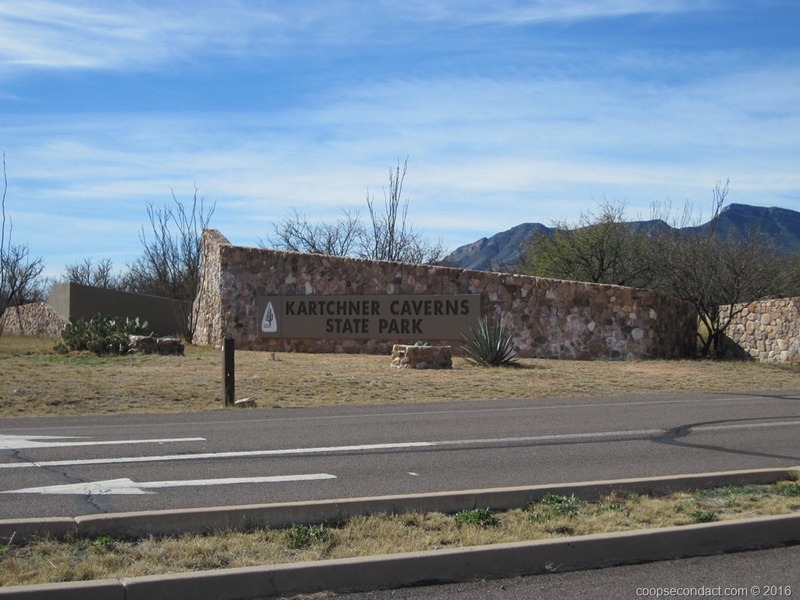 Kartchner Caverns, near Benson, Arizona, is a relatively recently discovered series of limestone caves. In 1974, two amateur cavers found a crack in the bottom of a sinkhole that was emitting warm moist air that smelled faintly of bat guano. They opened the crack to the width of a coat hanger and squeezed themselves through. What they discovered was well beyond their expectations. Knowing that they had found something special, they implored the property owners, the Kartchner family, to help them preserve it. The family agreed and together they kept the location secret and worked for 14 years to eventually put the site into the care of the Arizona State Parks system. We cannot show you photos of the caves since cameras are not allowed inside. We toured the areas known as the Rotunda Room and the Throne Room. 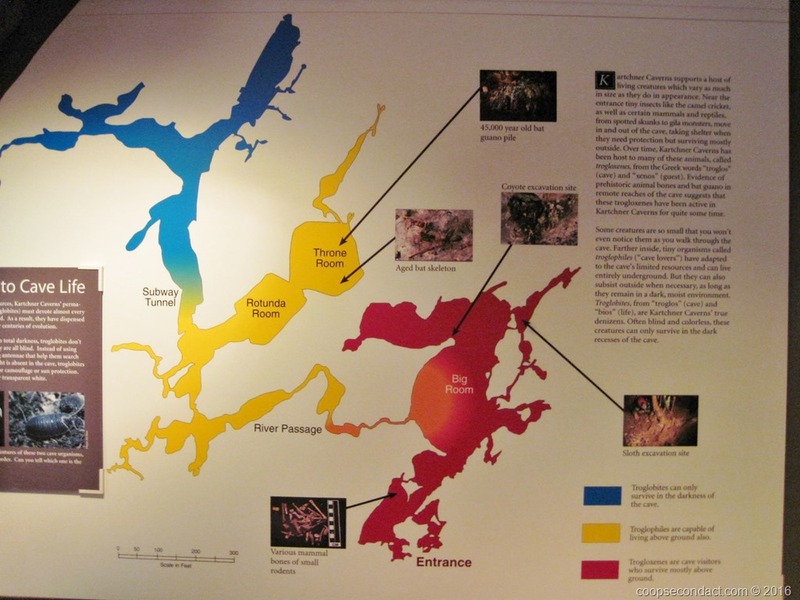 There are an extensive variety of formations inside formed by tens of thousands of years of limestone laden water dripping through the caves, including a 21 foot soda straw stalactite and a 58 foot high column called Kubla Khan. Some of the other particularly interesting formations are cave bacon, draperies and helictites. It really is a very beautiful series of caves and every effort is being taken to preserve it in as near as possible pristine condition. There is a hard surface path for tours and tourists are warned to not touch anything other than the railing. When they have to traverse off path areas for maintenance or testing, they walk along a track the original explorers used. Also, they have a series of airtight doors to preserve the natural cave environment. Why do they not allow pictures?